Among the areas of hard fighting during the Battle of Normandy, Bayeux and the Gold Beach sector have frequently been forgotten by historians. The sector of Tilly-sur-Seulles has already been made the subject of a great deal of research. 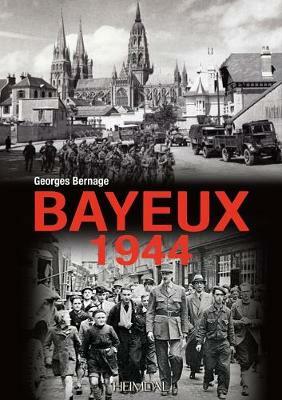 Bayeux merited this book's research, which presents a great deal of new information and never-before-seen photos. We follow, hour-by-hour, the arrival of British troops in Bayeux on 7 June, Lieutenant Schumann's speech on the 8th, and General de Gaulle's on the 14th, which created Bayeux capital of Free France. Here are presented remarkable photos of daily life, from the 5th to the 14th of July, the creation of a bypass around the preserved city as it transitioned to being a city-hospital, welcoming refugees in the middle of a damaged region where hell reigned for the civilian population.